Problem gambling is any gambling, betting or wagering that causes family, financial, legal, emotional or other problems for the gambler, their family or others. 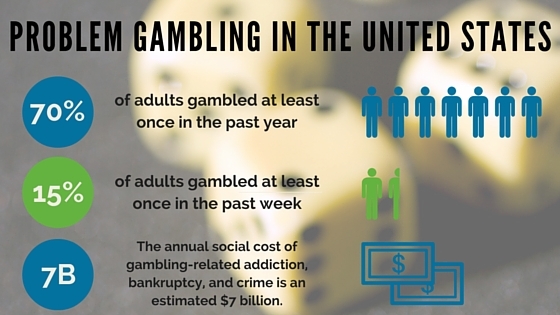 provide technical assistance on issues related to gambling and problem gambling. Our goal is to increase community awareness of the signs of problem gambling and the resources available to help problem gamblers and their families. We also work to increase education about the consequences of problem gambling. We seek to educate community members, professionals, older adults and their caregivers, people in recovery from problem gambling, college students, youth and their caregivers, and “first responders” who come in contact with problem gamblers. Call the Helpline 1-800-848-1880 or 1-800-GAMBLER and speak with someone who can get you to the help you may need. Keystone Wellness Programs is dedicated to the promotion, coordination, and delivery of community programs and services to improve physical and behavioral well-being. © Copyright 2019 Keystone Wellness Programs, Inc.